Even if you buy clothes labeled as “easy-care” or “wrinkle-free”, you still need a good steam iron to keep your clothes looking their very best. Clothes made from natural fibers such as cotton and linen especially need to be ironed. 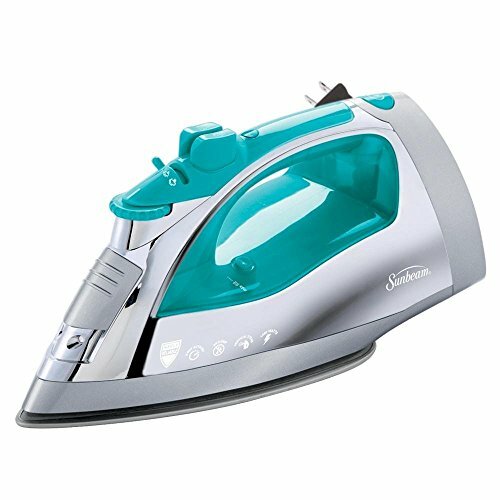 Rowenta is widely regarded as the best manufacturer of steam irons, and the Rowenta DW9080 Steamium Steam Iron is generally considered to be the best steam iron on the market today. 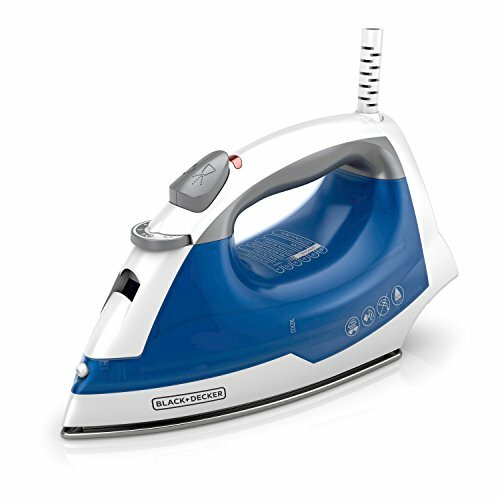 The DW9080 is a powerful iron at 1800 Watts. The scratch resistant sole plate has a thin coat of silicon and 400 holes for optimum steam distribution. 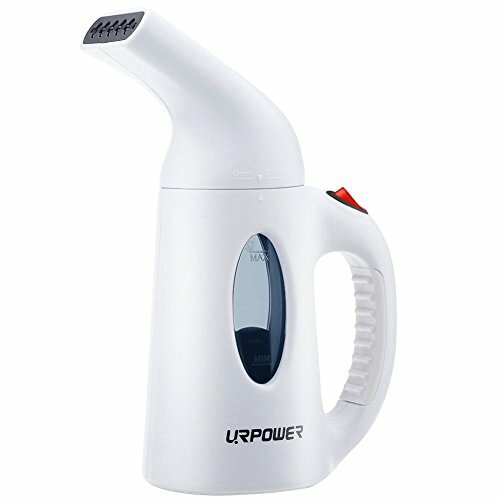 It tackles stubborn wrinkles and creases with a powerful extra burst of steam is self-cleaning and features a three-way automatic shut off. Reviews indicate that this iron is extremely easy to use. It is a little heavy, but its ergonomic design helps. The DW9080 is also lauded for being durable and reliable. The Rowenta DW8080 Pro Master Steam Iron is the next best of Rowenta’s steam irons, and not surprisingly considered the second best steam iron available. It is slightly lighter and a little less expensive than the DW9080. It is also only slightly less powerful at 1700 Watts, which is still more powerful than most steam irons. The DW8080 has most of the same features as the DW9080, including a 400 hole sole plate, three-way automatic shut off, and a self-cleaning system. The extra-large water tank allows this iron to deliver more steam without having to be refilled more often. Rowenta makes the list three times in a row with the Rowenta DW5080 Focus Steam Iron. With the DW5080, you sacrifice some of the power of the other two models, but still, retain most of the features. The 400 hole sole plate, three-way shut off, and self-cleaning system are all present in this model as well. The water tank is slightly smaller still than on the DW8080, but this model provides a little less steam power so the smaller tank fits perfectly. 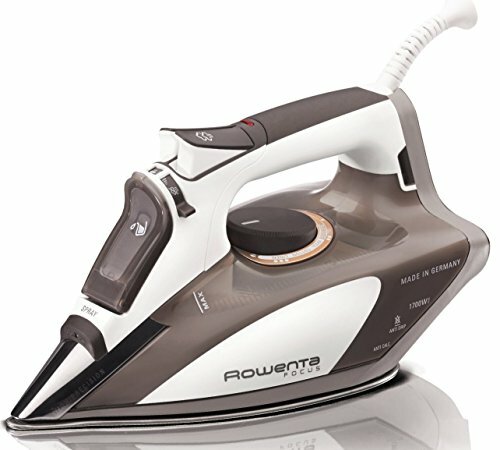 The Rowenta irons also have a vertical steam feature and use tap water. However, if you have excessively hard tap water, you will need to use the self-cleaning system more regularly or else the holes will get clogged. While the Rowenta irons are outstanding, they are a little expensive. While investing in a professional-grade steam iron might appropriate for quilters or people who need clothes that look fresh from the dry cleaners every day, paying more than $50 might seem a bit much for most. The following three steam iron irons are the best-rated irons under $50. According to customer reviews, the Black & Decker D2030 Auto-Off Digital Advantage Iron is the best iron available under $50. 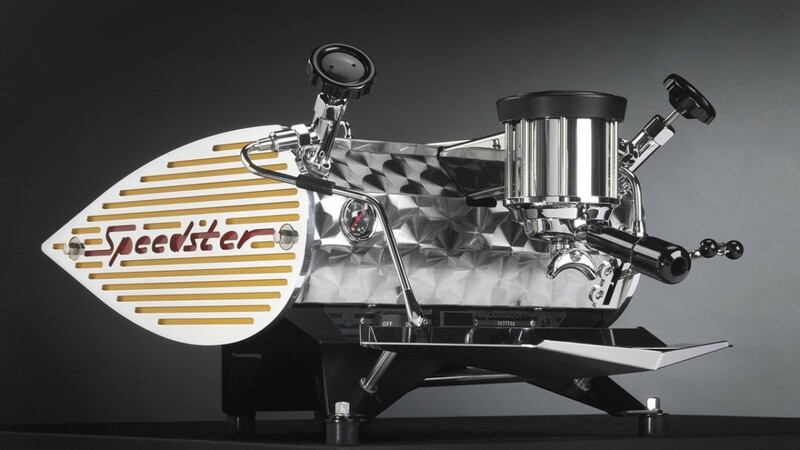 It uses 1500 Watts, which is powerful for this price range. One of its most popular features is the 360-degree pivoting electrical cord. This keeps the cord out of your way while ironing no matter if you are left handed or right handed. It also has an LCD monitor that digitally displays temperature and fabric settings. The D2030 has a self-cleaning system and motion sensitive automatic shut off just like the more expensive Rowenta irons but is not as powerful. The T-Fal FV4476 Ultraglide Easycord Steam Iron is next on our list of the best steam irons under $50. The FV4476 has the same features as other irons at a more attractive price. It also features a patented anti-dripping system to prevent water leaking from the water tank or steam holes while the iron is getting hot. The sole plate has 64 steam holes and 37 micro holes to aid in steam diffusion. A three-way automatic shut off and a self-cleaning/anti-calcifying system is also included. 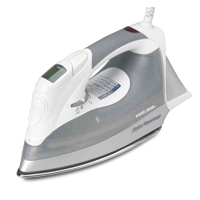 Customers love that this iron is relatively lightweight and easy to use. The patented cord system keeps it out of the way just like with the Black & Decker model. Last but not least is the Panasonic U-Shape Steam Iron. This iron has a unique retractable cord that reels itself in when the iron is unplugged for easy storage. 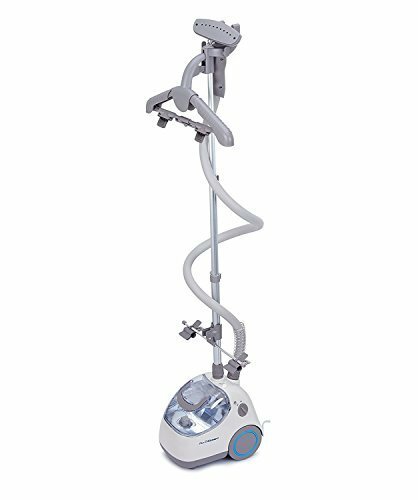 It uses 1200 Watts of power and does a great job ironing clothes. 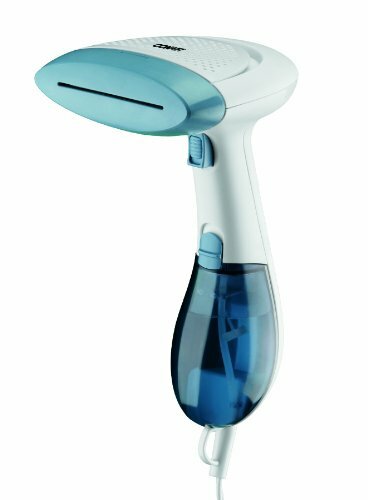 Customer reviews indicate that the vertical steam function of this iron is not powerful enough to do a great job on hanging garments or drapes. 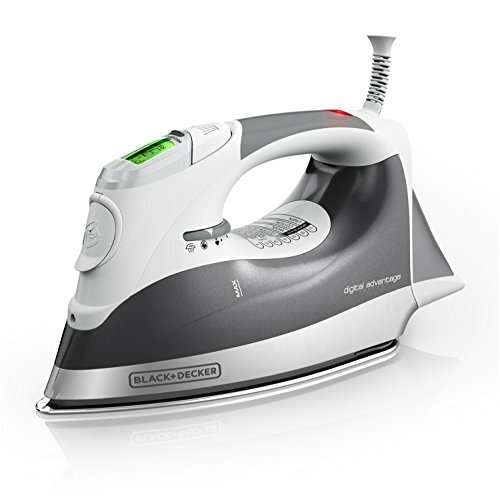 However, this iron is incredibly popular with the customers who choose to review it online. 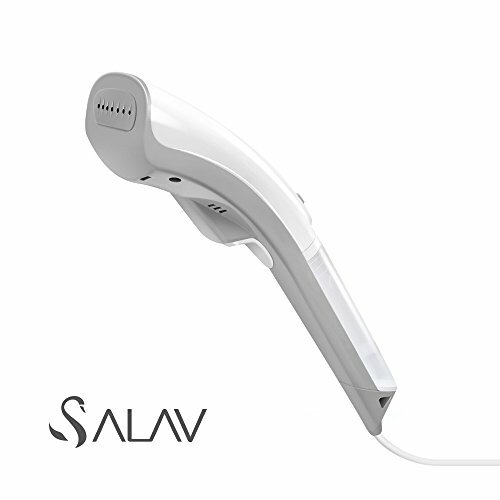 Three-way shut off, self-cleaning/anti calcifying, and an ergonomically designed handle are also featured on this model. 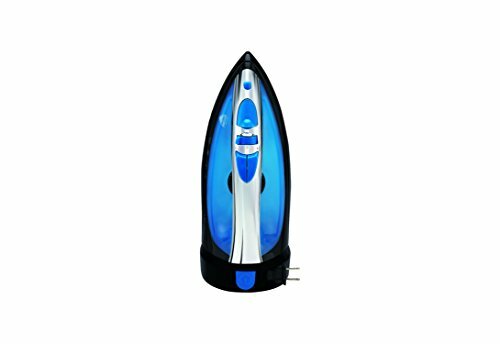 Steam irons have evolved greatly in the last twenty years. The simple irons you remember your parents using are a thing of the past. Irons now has several features that enhance both safety and performance. Here is a short list of some of the features you should be looking for in the best steam irons. Automatic Shut Off – The days of worrying whether you turned off the iron or not are gone. Because irons that are left on are a fire hazard, manufacturers are now equipping the best steam irons with automatic shut off systems. These are timed and can be set anywhere from 10 minutes to 30 seconds depending on the position of the iron. Irons left in a vertical position are generally given several minutes before shutting off. Irons that are face down or have toppled over usually shut off in 30 seconds. Self-cleaning/Decalcifying – In areas where hard water is a problem, having an iron that decalcifies itself is a plus. 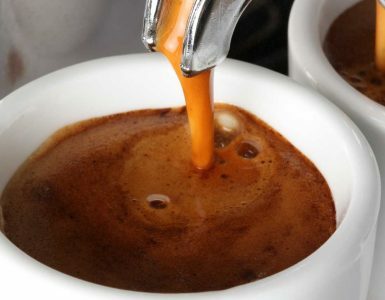 Generally, the self-cleaning system forces ultra-hot steam through the steam holes to keep them from getting clogged with impurities in the water. Vertical steam – This is essential for steaming hanging garments or draperies. Micro-holes –Many irons use smaller holes in the soleplate to help disperse steam more evenly and over a larger area. 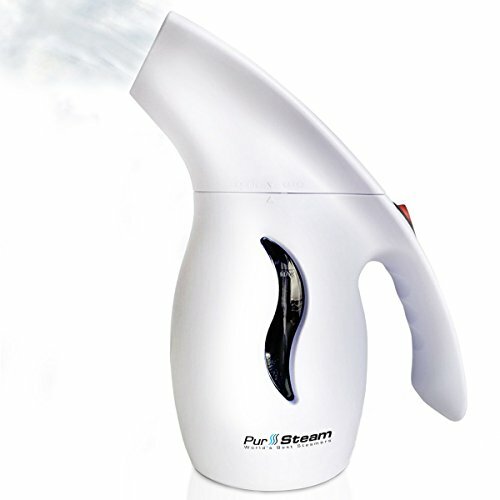 This allows the user to iron more quickly as more of the garment’s surface area is subjected to steam at the same time. Precision tip -This is a pointed tip that is useful for ironing out details near sleeve cuffs and collars, as well as making pleats look crisper. Below is a short synopsis of online steam iron reviews. Reading customer reviews and analyzing steam iron ratings is an excellent way to determine which steam iron is the best steam iron for you. Hopefully, these steam iron reviews have helped you to determine the best steam iron for your needs. There are many brands and models to choose from, but the irons in this review are considered to the best and most dependable by customers who reviewed them online.